The life of our two precious daughters to whom we lovingly refer to as our ladybugs. Wow! It's been a loooooong time since I've posted! 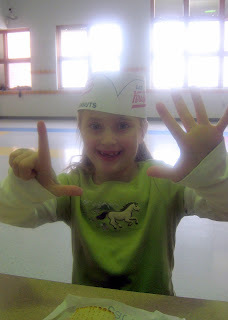 So today, my sweet, adorable and loving Leah turns 7! So hard to believe! She is an amazing girl and I am blessed to be called her mama! She is loving, kind, beautiful and loves to care and think of others! 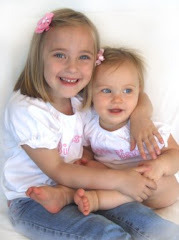 She ADORES her little sister (most of the time). God has certainly blessed us! I would like to thank Chick-Fil-A for sponsoring breakfast, Krispy Kreme for her school birthday treat, Subway for lunch and Bob Evans for dinner! A few of her favorite things for her 7th birthday! 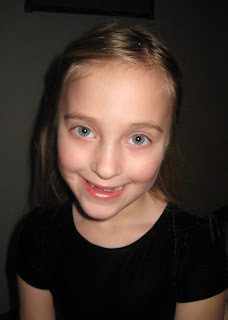 So to my sweet Leah - May your heart always be focused on the Lord. May you always know you are loved and treasured. You are beautiful in every way and created perfectly! Thank you for 7 wonderful years! You may stop growing now!! I LOVE YOU! Happy, happy birthday my sweet girl!